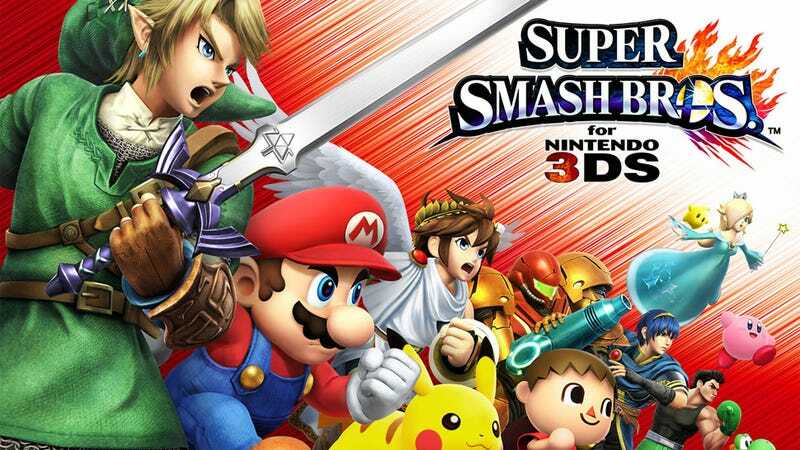 The Super Smash Bros. series has always had a wide variety of characters to choose from, and the roster for the latest Super Smash Bros. for Nintendo 3DS is no different. So how did the series creator, Masahiro Sakurai, choose who would be in it? In his column in the latest Weekly Famitsu, Sakurai addressed the fan question, "How are characters selected [to be in Smash Bros.]?" "We conduct a character popularity poll both domestically and internationally." answered Sakurai. A rather straightforward answer. Of course, it's not like we expected anything along the lines of nighttime rituals with a ouija board. But there's more. Continued Sakurai, "We also research games that are currently being developed. After that, it's pretty much up to us, with a touch of convenience." "There are a lot things to take into account when deciding [characters]." Sakurai wrote. "Does the character have something inherently unique about them? Can that be used to make Smash Bros. interesting? Is the character a representative character [for the source material]? Do they conflict at all with other characters? Was there anything about them that stood out when we began development?" As for who doesn't make the cut, Sakurai noted, "Characters from a series that has no future are rarely chosen. Also, fighters that switch models are a different matter." In the end, as director, Sakurai has the final say on any character ideas that come across his desk. "Basically, any character is accepted if I believe it works [in the game]. On the other hand, even if a character is unique, if they overlap with other characters and aren't unique as a fighter, they are rejected." Sakurai wrote. Essentially, it all boils down to Sakurai's creative eye – and looking at the results, I think it's safe to say his eyes are fine. ... Hopefully his arm will be, soon.